When your teeth have become damaged by cavities, dental fillings are the first line of defense in restoring your oral health. In past decades, dental fillings were made of amalgam (silver-mercury) material. Although strong and durable, amalgam fillings leave a noticeable and unattractive mark on teeth. Many people who sought to restore their oral health were forced to compromise the beauty of their smile. At the comprehensive dental practice of Dr. Robert Milner, we believe you should never have to choose between the health and beauty of your teeth. This is why we offer tooth-colored fillings, which are made of strong, durable resin material that prevents tooth decay as effectively as traditional fillings but provide a more aesthetically pleasing smile. If you are in need of dental fillings or wish to replace your amalgam fillings with natural-looking restorations, please call Dr. Milner today at 949-859-8899. Traditional dental fillings are made from metal amalgam. While these fillings are durable and effective in preventing tooth decay, they also leave an unnatural mark in your smile. Tooth-colored fillings are made of a resin mixture made of plastic and glass particles that bond to the structure of the tooth. A modern solution to tooth decay, these composite restorations also maintain (or improve) the beauty of your smile. The biggest advantage tooth-colored fillings have over traditional amalgam fillings is that they match the color of your natural teeth, making them virtually unnoticeable. Composite restorations have also proven to help prevent tooth breakage, more so than traditional fillings. This is because the tooth-colored fillings are chemically bonded to the tooth, strengthening the tooth structure. Dr. Milner can place your tooth-colored filling in just one office visit. To start, he will apply a local anesthetic to numb the area. He will then prepare the tooth by clearing away bacteria and other debris. Next, he will place the filling on the treated tooth, adjusting it so it comfortably fits your tooth and looks natural. Dr. Milner will polish the filling so it matches the color of your natural teeth. 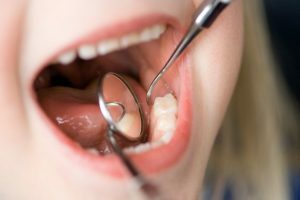 The dentist will also perform a bite check to make sure your bite is aligned correctly. Once the anesthetic has worn off, the tooth is ready to use immediately. A tooth-colored filling can last for 10 years or more with proper oral hygiene and regular dental check-ups. During your appointment, Dr. Milner or a member of our dental team can give you additional instructions and tips on how to care for your filling. If you would like to learn more about tooth-colored fillings and how they can enhance the appearance and health of your teeth, please call our Mission Viejo dental office today. Dr. Milner or a friendly member of our team will gladly schedule an appointment with you to discuss your dental needs. Schedule an appointment by calling 949-859-8899 today.